Do we get Justice based on Truth? An old proverb says that example is better than precept. All are equal before law. So, law makers also follow the law they make and set an example to others so that law, order and justice can be respected by everyone. Justice should be based on truth. 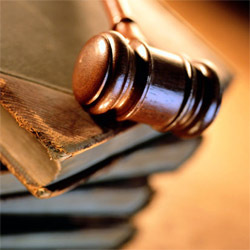 Judgments pronounced in various courts should not differ for the same case. If it is based on truth, justice will be the same in all the courts. For that judges should be sincere, impartial and correct. Then only people will have faith in the court of justice. Without justice nothing can function properly, fairly and orderly in the democratic world. So, justice should be maintained with proper laws and reforms so that human world can function with confidence in peace, order and stability. Law is there to maintain order in the society. Dharma is also there to maintain natural order in human life. Law is there to protect the sincere, good and innocent. If it not so, the law enforcing authority is deceived or not functioning properly, which means that morality has deteriorated in the society. This is due to materialism at the expense of humanism that is being overwhelmingly followed by the administration of the nation. Technological developments, westernization of industries, commerce, science and technology in the modern world termed as civilization are the causes for this type of materialistic outlook of the society that have deteriorated the national culture. So, selfishness in pursuits of materialistic goals has encouraged everyone to be unmindful of corruption, law and order problems and chaos in the society. Only profit motive, benefits, utilities are top most in everyone's mind but not culture, morality or humanism in the materialistic pursuits of man in the modern world. Law may be hoodwinked but not dharma that puts one and all in disillusionment one day or other if it is not followed in the society. When social justice based on man made laws and natural justice based on the laws of nature or dharma are not properly followed or cared, how will sincere, honest and good people be safe and safeguard their rights and freedom in the society? These sincere people should be aware of in the public and be alert to safeguard their rights and liberties so that they can do what they like and see changes taking place according to their desire in the world. But democracy is running on the wish of the majority whether it is the voice or votes of the people. As morality, laws and culture are neglected and corruption, malpractices and illegal activities are over looked, rowdyism in the small scale levels and terrorism in the large scale levels are dominating over the affairs of men whether it is a democratic country or a totalitarian State. So, justice is in jeopardy and bends according to the wish of the pressure group. This trend is very dangerous to the developments, civilization, creativity and inventive activities of the people in the society who are innocent or ignorant of the malpractices at the top level in politics. Between the brute majority of the common people and the influential rogues of the top level, the sincere men of developmental activities, who are responsible for the promotion of art, culture, creativity, innovations and developments in any nation are driven to hopelessness and pessimism leading only to stagnation of the society or chaos and anarchy everywhere. In the past might was right. Then man was like wild animals hunting animals for food in the forest; there might was right at that time. Afterwards man became civilized because of his inventions of fire, wheel, agriculture, electricity, electromagnetic waves and electronic gadgets. Because of his materialism, fighting nature and wars, though civilized, is uncultured, immoral and hypocritical in his activities in the world. Though man has established democratic parliaments, courts of justice and tribunals, justice is not up to the mark. So, how can one be rest assured of anything in the world? In spite of many developments, from the materialistic pursuits man has not changed over to humanistic pursuits in the world. Economic thinking has absorbed man so much even today that socialistic or humanistic thinking has not yet started to occupy in his planning and implementation in various fields in the world. So, even after the world wars, cold war occupied his mind for some decades at a stretch. Even after the cold war, competition in the field of international trade has not stopped the fighting nature of man. The game using might instead of right is still continuing though the might of military power is replaced by economic power for sometime. Yet might of some kind or other is still the right that decides the matter in the world. In this regard history repeats itself more today than yesterday. The reason is that the mindset has not changed or improved according to the changes, reforms and developments in the modern world. Religions, national constitutions and international laws are there to maintain order, peace, unity and brotherhood in the world. If it is based on truth, justice will not be changing from court to court; it will be the same in all the courts whether it is a munsif court or sub-court or high court or supreme court or international court. In the same way justice will not vary from person to person based on one's personality, power and popularity. Not only for the individuals but also for the nations true justice will be the same everywhere. Justice cannot be and should not be compromised due to the big size, population, military strength and vast economic growth of a nation. Though peace looks to be within the reach because of the efforts of the international community, it is impossible to achieve in some cases in the world. Hence wars and conflicts are there between Israel and Palestine, India and Pakistan and problems are yet to be solved between China and Taiwan. First it was thought by the Arabian nations that Israel could be erased from the world map; but because of its intelligence and unity of the people, Israel is successfully surviving against them though it is very small in size. Though Pakistan is continuing with conflicts and many proxy wars in Kashmir allowing cross border terrorism without limit in the Indian Subcontinent on the basis of religion, it is impossible to win over secular India even after five decades. Though justice is slow to get, it is surely reserved for the true, good and reasonable at the end. International peace is affected because of the decisions taken by the nations of various groups of alignments are against international justice. For international matters, decisions are taken based on the politics of such forums; and the action taken on such decisions are unanimously justified whether they serve for the cause of peace or create problems. Friendship is beyond the barriers, taboos, parochial approach, sentiments and favoritism. Only cousins and brothers belonging to various relative groups fight for petty reasons and maintain enmities endlessly among themselves. Broadminded friendship is not like this type of ordinary human relationship that thrives on petty matters, flatteries and favoritism. So, the duty of a friend is also to correct the mistakes of another friend, make the other one see the reality and accept truth and reason. That is called justice based on truth in the world. But in reality, the world forums are functioning like narrow minded relatives and not as broad minded friends. So, when this is so, how can reason and justice prevail over any matter in this world? Hence international peace is in jeopardy whenever justice is neglected on any matter or whenever the nations persistently pursue on matters of their own interests only at the expense of other nations' problems and difficulties. That is why international terrorism has taken such a formidable shape that it has become a necessity for all nations to fight it out by unanimous cooperation resolving immediately all outstanding problems, disputes and conflicts among some nations that generally affect international peace very often. Non-aggression and non-interference in the internal affairs or other nations are the best way for nations to have peaceful coexistence in the world. Whenever any nation resorted to war and force ignoring justice and truth, international peace was in danger and disturbed. During and after the cold war times decisions of nations on world matters differed much over one another. Only after the terrorist attacks on the twin towers of the World trade Center at New York in USA, realization has come to the nations that international peace is impossible to maintain unless terrorism is totally rooted out from the soil by hunting down the terrorists wherever they are and bringing them to justice for punishment. Though justice was ignored and neglected, without justice no nation could breathe a sigh of relief and exist in peace in the world. Truth and justice can never be destroyed. Justice based on truth only can maintain peace forever in the world. This realization is now uniting the nations at last better than before for cooperation and coordination in the developmental activities in various fields on the basis of friendship among them, which is the best way for peaceful coexistence for all nations in the world. No I am not behind on my mortgage. No I am not going to file for bankruptcy. No I am not getting a divorce from my wife. The fact is my own village is slowly destroying my home. How is a disabled man suppose protect his property from "city hall" when city hall uses my own tax dollars to hide behind their Insurance Company? After attending every board meeting, pleading with each board member to see how the road work was destroying my foundation. All because the X-mayor and I have had this feud for the past 45 years. All he had to do was say "that looks pre-existing." Then to have all (board members, Assemblymen, Senators) tell me that I would have to get a lawyer to force the village to do the right thing. Since I am disabled, unable to work at my trade anymore I have sold 90% of my tools and truck to hire a lawyer, after which my village board turned this "situation" over to their Insurance Co. which is being paid for with my tax dollars! ??????????? To make things even worse all of those (board members, Assemblymen, Senators) who told me to get a lawyer are now telling me that they can't help me because I got the courts involved? In 2006 my village re-engineered the road in front of my house, new water, sewer, road drainage, sidewalk and blacktop. One of the main reasons for this was because the old sewer line was collecting too much ground water and over working our newly up-dated sewer treatment plant. Shortly after they had switched everyone over onto the new sewer line the capped both ends of the old line "ONLY" leaving the rest of the old line in ground, still collecting all that extra ground water but now it is bubbling up from under my foundation. This was pointed out to everyone before any brick, cement or blacktop was put down. There idea to fix this problem was to install a "french drain" in behind my house after it bubbled up from under the foundation and pipe it to the river. My lawyer said if I didn't allow them to do this then they could always claim that they tried to fix it and I would not let them. Even after I told him that this fix would only make things worse, that allowing the water to move faster from under my foundation would only cause faster erosion. 3 1/2 years later Justice Muller (Essex County Supreme Court Justice) in chambers told both my lawyer and the village Ins. Co. lawyers that this case had dragged on long enough. For both parties to get act together and give this man his day in court. It was at this time the village Ins. Co. filled a third party complaint against the construction co. that did the work. This side stepped the judges orders, brought in a second Ins. Co. and their lawyers which just flooded my lawyer into submission. He told me that this was just too much for one man He told the judge that he and I where not getting along and asked to be released as attorney of record. Now every lawyer I contact want a huge upfront deposit ($5,-7,000.00) plus $180.per hr. A few of them told me that even then I would be throwing good money after bad, that there was no way either one of these Ins. Co. would ever allow this case to get in front of a judge. This is how they win cases that have all of the evidences against them. "To Litigate them"
After all of this I have come to realize that the only way to get this Village to do the right thing is to shame them into it. In doing this I plan to hang my American Flag, union down as is permitted by the United States Code; Title 4, Chapter 1, § 8 - Respect for Flag. And on both sides signs stating those involved with the project responsible for the damages to my home. I pray that this does not offend you.